Why Invest Money − and If So, in What? 51 % of Germans save and feel happier than non-savers, because saving creates security and opens up room for maneuver. This is what a study from the year 2016 (Statista 2017) has shown. Of course, it may be that some of the remaining 49 % lack the ability to save, that is, lack a sufficiently high income to be able or willing to forgo consumption. However, the fact that the Germans’ inclination to save has declined since the financial crisis of 2008 suggests that today they prefer to consume rather than to save. Be that as it may, the three most common savings goals were funding retirement, buying, e.g., a car, and purchasing or renovating residential property. Saving and investing are not the same thing. Savings may well result merely from the accumulation of unconsumed surplus income in checking accounts. Investors, on the other hand, consciously look for the best possible returns on their invested capital and tie up their financial resources over the long term. If, for example, one invests € 1,000 in stocks over the long term and achieves an average return of 6 % (Deutsche Bundesbank), then one doubles one’s investment in roughly 12 years. People who do not spend money on consumption are thinking about their future, about major purchases or provisions for their children or about their own inconveniences such as old age, risks of illness, or unexpected risks or options − or maybe they just want to get rich. “Top earners” (a terrible word) often find that a nice little sum is left over at the end of the month. In both cases, it makes sense to think about investing these amounts in a business that generates surpluses. Then there is the case of speculation that risks total loss of the money invested. I do not go into this here because I don’t have exact knowledge of such speculation and life has taught me to avoid it. The first question leads to consideration of the investment universe and the search for profitability. The second leads to consideration of various investment horizons and weighing risks. 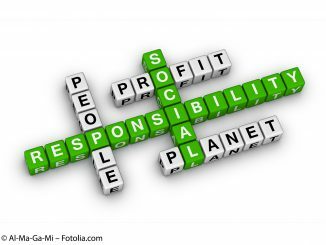 As for the third question, most people who ask it should first find out more about suitable forms of investment (see blog series Schmidkonz/Zirus on „Impact Investing“). What to Do With the Money? For most Germans, the investment universe consists of offers from banks, savings banks, insurance companies and Bausparkassen (savings institutions set up for the purpose of saving to buy a home or building land). Several also buy gold. Many direct their savings into residential property, owner-occupied or renting it out. Some also know about investment funds, but only a few venture into securities such as stocks and bonds. Presumably, most people, including Germans, are probably oriented towards security when selecting a type of investment. As a result, they like to take out insurance policies, conclude contracts with Bausparkassen and maintain accounts at banks and savings banks that bear low interest. While it is true that certain types of insurance are indispensable (motor vehicle and liability insurance) or advisable (occupational disability insurance), insurance policies are not risk-free either. In some cases, an insurance company will refuse to settle a damage claim because the insurance policy contains a clause of exclusion or limitation. Nowadays, life insurance policies that serve as savings tools only deliver low returns. In the case of many other savings offers from Bausparkassen and banks, repayment of the nominal investment amount plus earned interest is assured when they mature (also assured by deposit security funds up to € 100,000 per account holder), but the real interest can be negative. Because only with an annual interest rate over 1.3 % (current inflation rate in Germany), does the purchasing power of the money invested increase. Such “investments” are, at best, suitable for maintaining short-term reserves of manageable amounts. If one wants to let the value of one’s money grow not only in nominal but also in real terms − i.e. after deduction of inflation − then one must take greater risks; that is, one must live with greater insecurity as the price of possible rise in value. Many people desire high returns and the greatest possible security and expect it from gold and “concrete gold”. Gold glitters, feels good and is exceptionally decorative as jewelry, but it does not yield any interest and is subject to considerable fluctuations in value. Gold coins or gold bars are great birthday presents, but gold is on its way out as a currency in times of crisis: after all, who would part with food in exchange for gold during a worldwide famine? Ships, airplanes, land and developed real estate are high-priced objects of capital investment. Only real estate investment is a suitable option for savers from the point of view of risks. The prices for this class of investment have been rising significantly for at least ten years. This development will continue for as long as demand keeps rising relative to stagnating supply so that rents keep rising, and as long as interest rates stay low. Of course, a tenant can be tempted to redirect monthly payments to a landlord into his own assets by purchasing an apartment and then making interest and amortization payments to a lender. It also goes without saying that buying an apartment as an investment object also makes sense. Then one is landlord and can increase one’s return through raising the rent on a regular basis − if one wants to. However, returns from such objects of much more than two or three percent can be achieved only by increases in value. Such investments are also not risk-free either. Most reasonably priced apartments are in unattractive locations, including losses in value, loss of rent due to vacancies or “rent defaulters”, renovation costs, damages caused by storm, and rising operating costs. All these factors can lead to reductions of returns or even “negative returns”. In the worst case, falling behind on paying off your own debt because of reduction or loss of income can lead to a disastrous result: loss of the rental object because of liquidation by the lender. Investments in securities are less common. Presumably, the most important reason for this lies in a lack of information, because the people who go to work in a company every day and trust that the job will also be there the next day are the very same people who place little trust in the securities of such companies. Of course, a certain caution is entirely justified, because in contrast to an apartment or house, which I can visit to see that it exists, and in which I can live, such securities only document rights in companies about which one can develop an informed assessment with great effort and expenditure of time. This is why investors gladly base their decisions on the advice of “experts” for securities markets, who charge for their know-how, in that they manage investment funds, and promise the buyers of their stock above-average returns. A bond pays the same pre-determined interest rate over a certain number of years, and at the end of this period its nominal value is paid back; however, it can also be sold on an exchange at the current price before this date. Its return is generally higher than that generated by savings accounts at banks because the risk of insolvency for the enterprise that issued the bond cannot be ruled out. In the case of a DAX company (i.e., one included in the German stock index), insolvency during the contract period of a bond issued by this company (10 years, for example) is highly improbable, whereas this risk for a small or medium-sized enterprise (SME) is not. Consequently, one can realize high returns with bonds from the SME sector, but also lose a large portion of one’s money. For a bond from Siemens, on the other hand, one hardly gets any interest these days, but one is as good as certain to get one’s money back at the end. During its contract period, a bond can be subject to price changes on the financial market that depend primarily on changes in interest rate levels and expectations about the certainty of return payment at the end. Stocks do not have a repayment date and are much more sensitive to fluctuations, for their value results from the expectations regarding their entire future incomes and with the primary objective of increasing wealth. This income is subject to a great variety of influences from nature, society, politics and international economic development. This implies that stock prices can also fall when insolvency of the company in question seems to be totally improbable. However, since most stock corporations in the leading industrial countries and emerging markets have rising profits, their stocks rise significantly over time on average, short-term fluctuations notwithstanding. Actually, virtually anything that is traded on markets and lets one hope that prices will rise because it is becoming scarce can be an object of investment: all other raw materials in addition to gold, agricultural land and forests, objects of art, old-timers, old wines and liqueurs, and currencies (even cryptocurrencies). However, this can hardly be recommended for those who want to invest their financial resources somewhat safely, with average returns, because the markets for such objects are far too complicated. Why Is It Unwise to Put All Your Eggs in One Basket? There is a simple basic rule that applies to all investors: allocate your money across different types of investments, knowns as asset classes, so that the risks are scattered and thus, as a rule, reduced (diversification). This diversification applies both to investment periods and investment objects. Reserves that can be used on short notice should be liquid and therefore, unfortunately, bear little interest. In the medium-term investment horizon (of 2 to 5 years) one can take a few more risks and thus earn more. 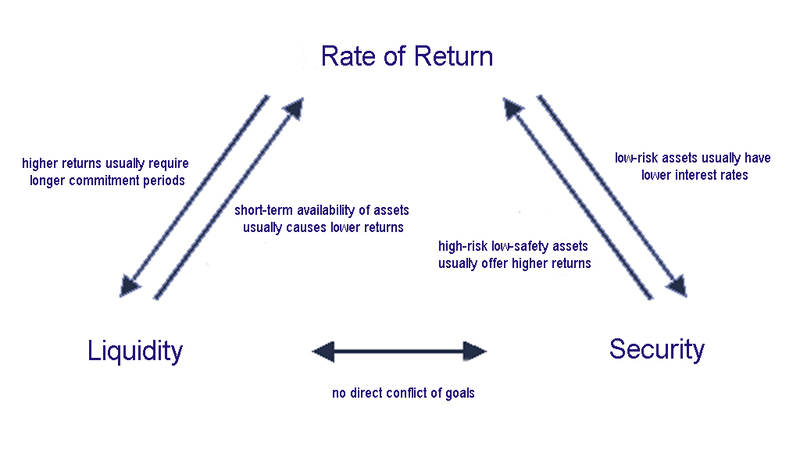 The greatest returns, for example those from investments in stocks, are achieved by long-term commitments of capital. The stock prices of DAX & Co. rise over the long term, but that does not prevent them from falling by 40 % occasionally, as happened during the financial crisis of 2008. 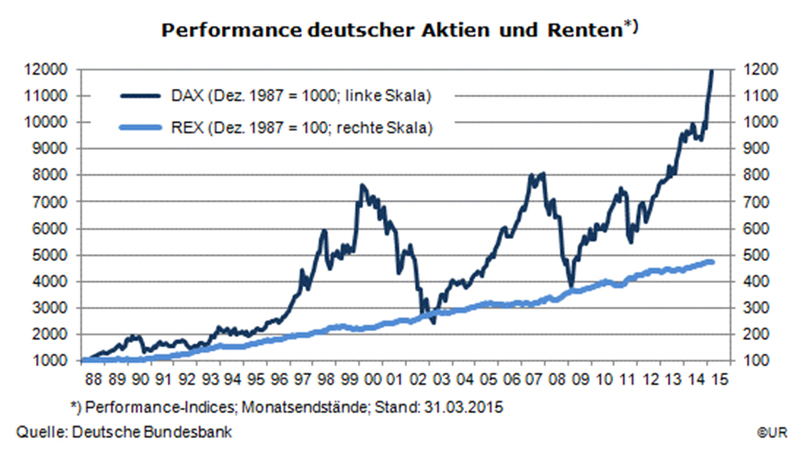 Performance of German stocks (dark blue; left scale) and bonds (light blue; right scale) from 1988 to 2015 (source: Central Bank of Germany). Diversification should also be implemented within asset classes. Thus, for example, one should not just buy the stocks of BMW, but also those of companies in other sectors or even countries. The unavoidable fluctuations of value and foreign currency exchange rates of individual securities offset each other to a certain extent so that the average return earned over the years is better in most cases than that obtained by focusing on just a few individual stocks. That seems to be an impossible undertaking for those who keep saving small amounts. But this can be achieved through the investment funds mentioned above. 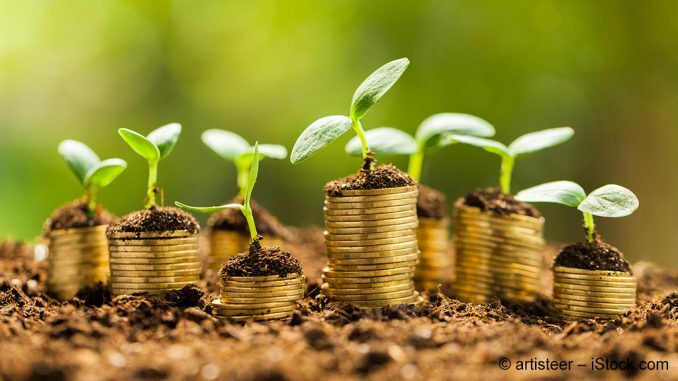 The investor participates in such a fund with small amounts and the fund’s manager invests the amounts collected in the various investment objects prescribed by the fund’s program. The fund tends to develop slowly because extreme profits and losses are levelled out in the fund. However, funds’ managers claim that their know-how enables them to make the “right” investments and thus generate above-average increases in value − and they also understand how to have this know-how paid for well. In the next part of this blog series, I will be dealing exclusively with stocks, and the third and final part will deal with Exchange Traded Funds (ETFs). Prof. Dr. Wolfgang Zirus studied Business Adminstration at Regensburg and subsequently worked for Dresdner Bank in the credit auditing department for several years. He eventually started as a freelance lecturer for Munich Business School amongst others before becominig a regular MBS lecturer. 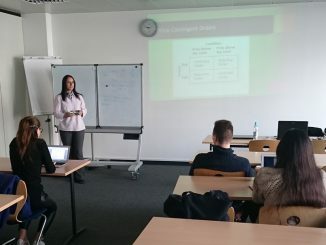 He did his doctor’s degree at LMU Munich focusing on problem-oriented learn ing environments.Today, Prof. Dr. Zirus is module leader and lecturer for financial subjects at MBS and alongside works as a freelance lecturer. MBA Networking Event: How Digital Are You?